If you are looking to add a twist of flavor to your next homemade cider, adding berries to make a berry apple cider might just the thing you are looking for. Berries are packed with flavor that will complement the apple yet are low in sugar so they won’t boost the ABV too much. This berry hard cider recipe is especially awesome when your only option is to make a cider using store bought apple juice that can sometimes lack depth and flavor. The barriers will enhance the cider and you now have a delicious cider that is super cheap to make. 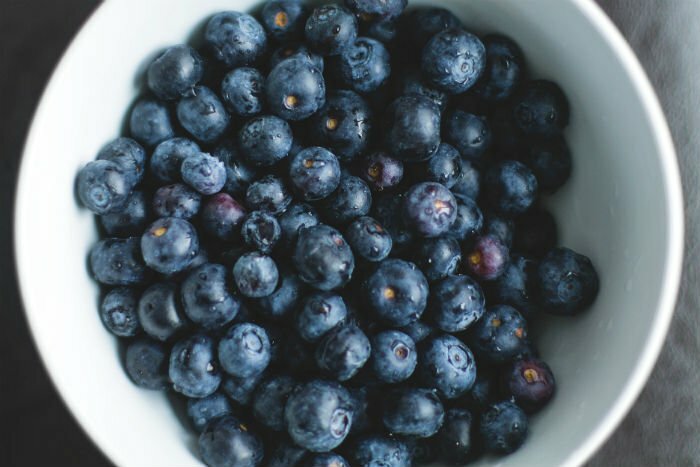 I like to use a variety of berries such as blackberries, blueberries, or raspberries and find a frozen berry blend mix from the grocery store to be the easiest and most convenient source. Of course, if you have fresh berries, that would make it even better! Like many fruit additions, berries are best added after primary fermentation has stopped. This can be before racking the hard cider to a secondary vessel or after if you need more space in your fermenter. Adding them late protects the flavor that could be lost during vigorous fermentation which is a common issue for making hard ciders with fruit additions. Keep in mind that adding berries will add a little more fermentable sugar so fermentation will start up again. Allow extra time for fermentation to complete again and thoroughly cold crash the berry hard cider so the sediment settles to the bottom of the fermenter. If you are looking for an even easier berry hard cider, check out the Cider House Select Mixed Berry Kit. First time making hard cider? 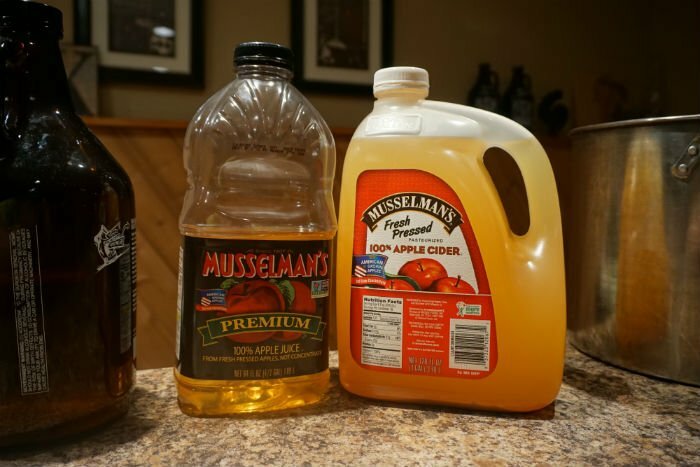 I started with 5 gallons of Musselman’s Apple Cider that I picked up at a local grocery store. This cider is fresh pressed 100% apple cider and is not from concentrate which makes it a little better than some of the cheap grocery store options. Using a hydrometer, I measured the original gravity of this juice at 1.044 which I calculated would produce around 5.5% ABV if I fermented it to near dry, or near 1.002 FG. An ABV in this range is perfect for me so I did not make any sugar additions although apple juice concentrate can be added to boost the sugar content and in turn raise the expected final ABV. 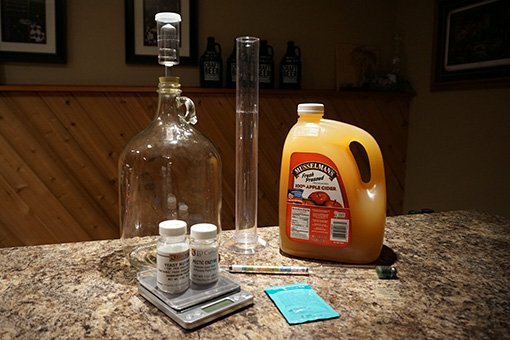 After I took the hydrometer reading I poured the cider into a 6 gallon plastic food safe fermenter along with yeast nutrient to ensure strong fermentation. I like to add the nutrient at the same time as the cider so it mixes thoroughly. I then added a pack of Nottingham ale yeast, which is one of my favorites for ciders. The flavor of the ale yeast is complementary and it does not ferment as dry as some other yeast. Fermentation began strongly and the airlock bubbled quickly. Within 72 hours the fermentation slowed from a bubble per second to around a bubble per 30 seconds. At this point, the specific gravity measured 1.004 and within a few more days it stabilized at 1.000. Once the SG stabilized and I was confident fermentation had completed, I was ready to add the berries. I took the frozen mixed berries out of the freezer to thaw and then mashed them in the bag to help extract the juice. I then poured the berry slurry into the fermenter. Note: If you are concerned about the sediment from the berries, you could pour the slurry into a mesh dry hopping bag which will allow you to pull most of the berries out when you are ready to rack. After 5 days of the cider aging with the berries, I racked the cider to a secondary fermenter and placed it into the fridge to cold crash for a couple of days. This allowed the suspended yeast and berry sediment to drop to the bottom of the vessel so the berry hard cider could be racked off the top cleanly. With the hard berry cider now finished, I added potassium metabisulfite and potassium sorbate to halt any further yeast development and fermentation. This is important because I planned to back sweeten the cider. Adding additional fermentable sugars while the yeast is active would restart fermentation and take the cider back to dry. Once the cider was stabilized, I racked it into a keg, quick carbonated it and waited for it to cool down before placing it on tap. This is why I like to add the berries in the secondary fermenter. Primary fermentation can easily zap the flavor from the berries. I would suggest adding more now that fermentation has ended. 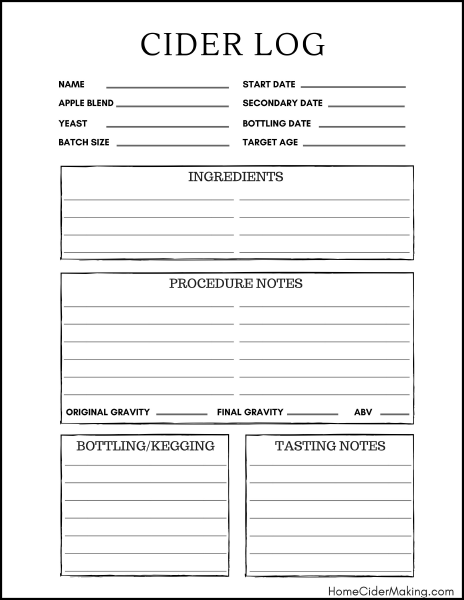 Get Your Free Cider Log PDF! Keep track of your cider recipes and results by documenting them on a Cider Log! Subscribe today to receive a FREE Cider Log PDF and be the first to know about new recipes and fresh experiments from Home Cider Making!